We are delighted to say that in September 2017 OFSTED graded the school as OUTSTANDING. 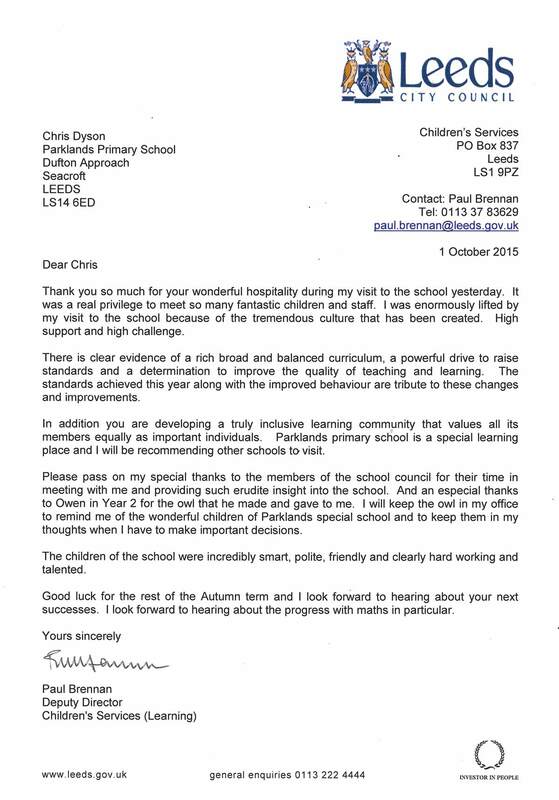 We are so proud to be shaping the children’s future in such a positive way. Parklands Primary School values your opinion. If you have any comments or questions, please speak to a member of staff. We would really appreciate it if you would take 10 minutes to complete the parent view questionnaire. You will need your email address and password to log in to the site. Follow the on screen instructions for a simple log in process. The Department for Education (DfE) produce Performance Tables which give information on the achievements of pupils in primary, secondary and 16-18 provision in schools and colleges, and how they compare with other schools in the Local Authority (LA) area and in England as a whole. Detailed information and guidance on the various aspects of the tables can be found on the DfE website.